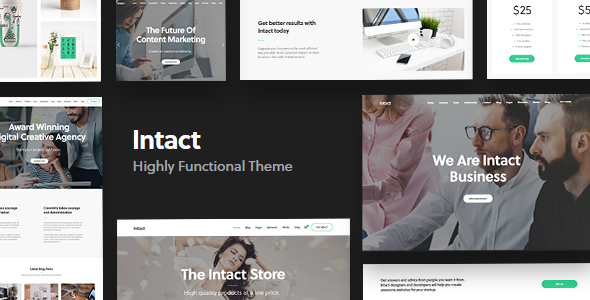 Intact is a highly functional and resourceful WordPress theme uniquely designed to satisfy critical business needs. Featuring multiple Pricing Plans, Icon Boxes, Team Member sections, Reviews Boxes, Testimonial Carousels, attractive high resolution font icon sets and limitless color choices you can start developing amazing websites without ever having to write a single line of code. Content can be displayed on any screen, regardless of its resolution or size. Full responsiveness is great for customers, considering that content can be accessed from any location. Intact features eight completely different, clean designed demo homepage templates for you to get started. This is just a glimpse of what you can achive by using the theme. By following the simple one click installation process, you can replicate any demo homepage variation and get started working on your website right away without ever having to write a single line of code yourself. Install posts, menus, pages and sliders. You can separately import all the pre-configured individual pages like about, services, contact, pricing, faq. Intact’s main download folder includes a child theme. A WordPress child theme allows you to apply custom code changes to your site. Using a child theme ensures your customizations will not be overwritten, even if you update the parent theme. Intact has been optimized to give your visitors the best experience in terms of UX/UI. Includes WPBakery Page Builder for WordPress premium plugin worth $46. WPBakery Page Builder is a drag and drop frontend and backend page builder that will save you tons of time working on our site content. Includes Revolution Slider premium plugin worth $26. Even beginners will manage to create beautiful presentations, sporting an impressive number of options. Manage templates from one place and instantly see changes without digging into each individual piece of layout. Intact Theme supports all major browsers and will behave identically on Google Chrome, Mozilla Firefox, Safari, Opera and Internet Explorer. Each Demo built with Intact will look different. Without any coding knowledge you can create amazing websites making easy changes with the options panel. From loading animations to toggles, and modal windows to smooth scrolling navigation, Intact offers your visitors a clean, glorious experience. Intact is fully WPML compatible and also contains .po and .mo files that can be used to easily translate the theme without much hassle. Google Fonts is one of the most complete source of free web fonts. With more than 600 high quality fonts, you can customize your website to any style and feel. Intact gives you instant access to 30+ built-in content elements. Each element has been carefully crafted and offers multiple options that will enable you to build any layout you desire. All shortcodes have been integrated with the page builder for easy use. Full shortcode list: Alert Boxes, App Gallery, Advanced Button, Call to Action, Logo Carousel, Content Box, Countdown, Counter, Section Divider, Event Session, Extended Tabs, Featured Content, Icon Box, Google Maps, Masonry Gallery, Photo Box, PhotoBox Carousel, Pie Chart, Pricing Table, Process Steps, Progress Bar, Reviews, Reviews Carousel, Service Box Team Member, Team Members Carousel, Testimonials, Video box. The fastest way to import our demo content. The Theme Importer provides you with all of Intact’s pages and posts, sample sliders, widgets, theme options, assigned pages, and more. 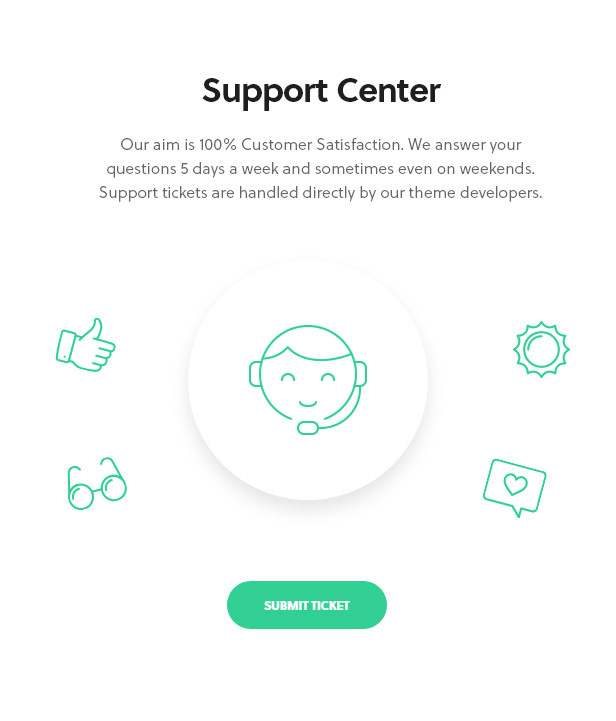 The theme offers support for the most popular contact from plugin available with WordPress repository. Contact Form 7 is responsive, easy to use and effective. CSS Buttery Smooth Parallax Scrolling. With Intact, you can set parallax backgrounds to any page section. The Intact theme has been tested across numerous multisite setups. Everything will function properly across your site network. Yes, with Intact, you will get lifetime free updates. Updates may contain various theme improvements, bug fixes and security updates. Well organized with lots of customization options: Global Options, Header, Header button, Typography, Blog, Footer, 404 page, Import/Export. Typography options integrated with over 600 Google Fonts (select font family, weight, size and color). Use any font from Google’s free font library. 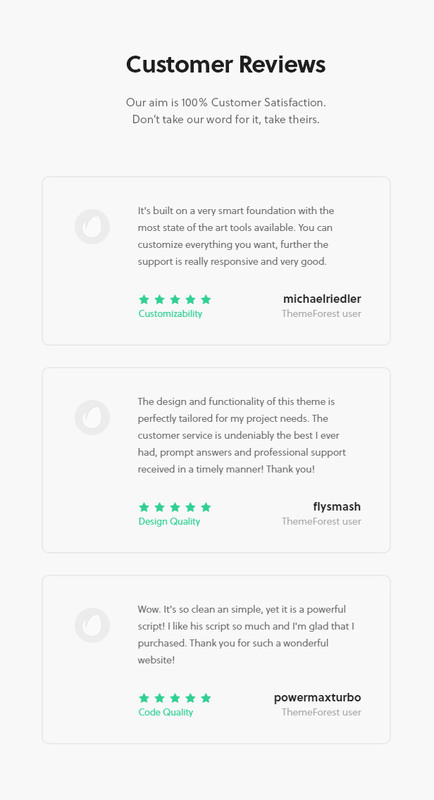 The theme has been tested and works properly with the most popular WordPress plugins: WPML, Seo by Yoast, All in One Seo Pack, W3 Total Cache, Wp Super Cache, MailPoets Newsletter, JetPack.